As we drove further north on our road trip we heard predictions of heavy downpours and rain the following days. 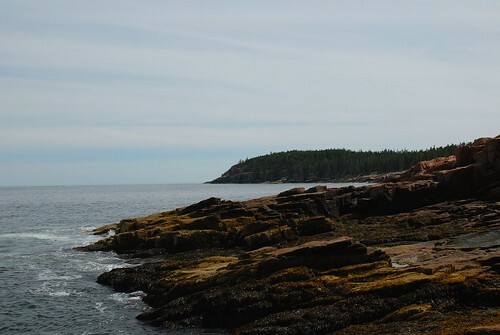 We decided to shorten the trip by a day and drive straight to Acadia in Bar Harbor. I was getting kinda burnt out on shopping and wanted to get outside anyway. Acadia National Park is completely gorgeous. 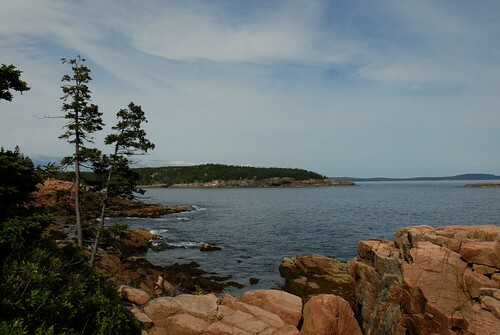 Pay $20 for the day and take your time driving around Mount Desert Island. Every overlook will take your breath away. I was anticipating the breathtaking views from Cadillac Mountain. The drive up the mountain (large hill) was a bit treacherous. My mom is afraid of heights (she was driving) and I’ve developed the fear of cars crashing into ravines somewhere between my 27-30th year of life. This is probably due to the fact I almost drove us off into a ravine in the middle of the winter on the Kangamangus highway in New Hampshire. So we crept our way up the large hill as I gasped at the overlooks while my mom kept her eyes concentrated on the middle of the road. It was a bit hysterical, laughing helped. At the very top the ocean surrounds you in every direction. I would love to come back with Greg and do some hiking and spend a few days camping. If only it wasn’t so far away. 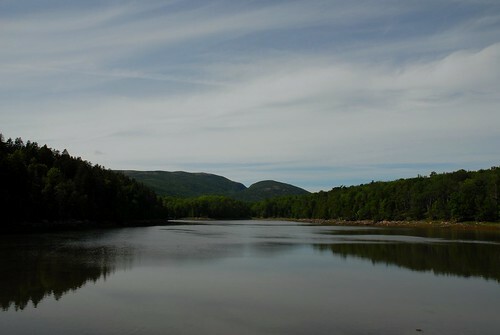 Acadia is 4 hours north of Portland, Maine. When we were driving out of Bar Harbor I counted 12 very large private jets at the small airport. If I only had a jet I would come every weekend! I took a ton of photos. Above and below are my favorites. beautiful scenic shots. nicely done! I'm so jealous. 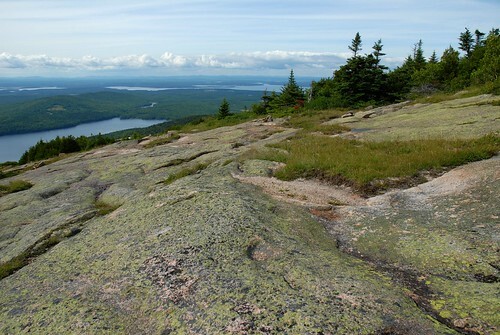 I've spent many summers hiking up Cadillac Mountain and it's been many since I was last there. Those views are so inspirational and the climb so invigorating. I long to be there! Thanks for posting the pics! I hiked the beehive trail years ago and watched the 4th of july fireworks from on top of Cadillac Mt. and LOVED it. I need to get back there someday soon. I'm so happy you're posting these Maine photos just in time for my trip! 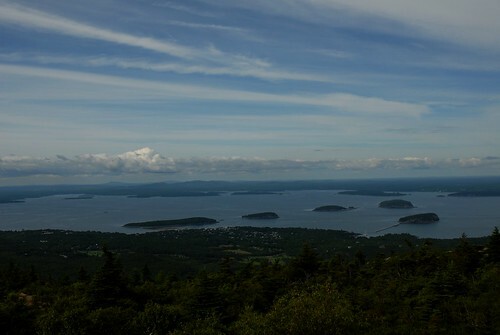 I can't wait to go to Acadia. We're camping in Lamoine State Park, right outside of Bar Harbor, for three nights. 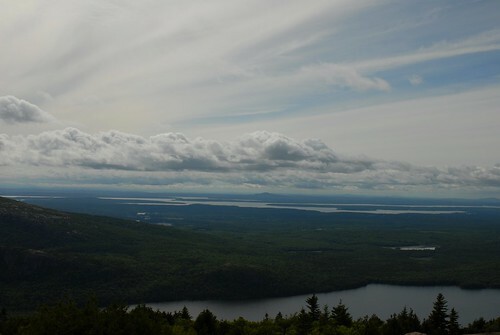 We plan on doing a whole day in Acadia. Thanks, Katy!